When I set up the forum last year I tried to buy .com as well as I was advised this was a prudent step to take but it was already taken. So Yvonne's post about someone offering it to them via spam pricked my ears up when I was at Thelma's last week. I tried to buy it, signed up and paid and then had to wait 36 hours for confirmation.......alas someone beat me to it. I then get an email to say I could buy the domain name for $99 so off I go to buy it again, alas someone beat me to it again. Then I get another email saying I can buy the name, but this time for $49 so off I go to buy it again, and this time I get it so I'm now the proud owner of .com. congrats Graham on your .com purchase. Not sure what is happening but at the moment there looks like some very odd stuff on the .com when you put in balloon chat. Will have to investigate, perhaps I've not bought it? Anyway, have now redirected it to the .co.uk site now. 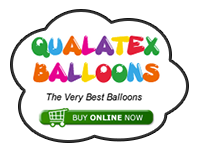 I have found, if you type in www,balloonchat.com it directs you to www.balloonchat.co.uk. But if you just type in balloonchat.com it directs you to a different site. I dont normally type the www any more, so if that is the case for other people then they are gunna have the same problem. Don't know what you can do, but thought i'd bring it to you attention. Just off to Leeds now so will look into that upon my return. And did you know it takes longer to say www than it does to say world wide web. I bet you have just said it to yourself again haven't you. Maybe twice. Ha ha. 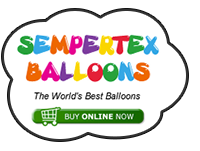 I do believe it's now sorted, when I punch in balloonchat.com it redirects to the forum and not the competitors site. I did think that was funny but needed to sort it out.